Expires in 1wk . Last validated 3wk ago . Used 4 times. Roseanne Park I am validating that this deal works as described. Enter code at checkout and get discount. Roger Hernandez Simply enter the code during the checkout process to apply this discount. There may be some exclusions that apply to this deal. Guillermo Garcia I am re-activating this expired deal. I will update it and validate that it works. 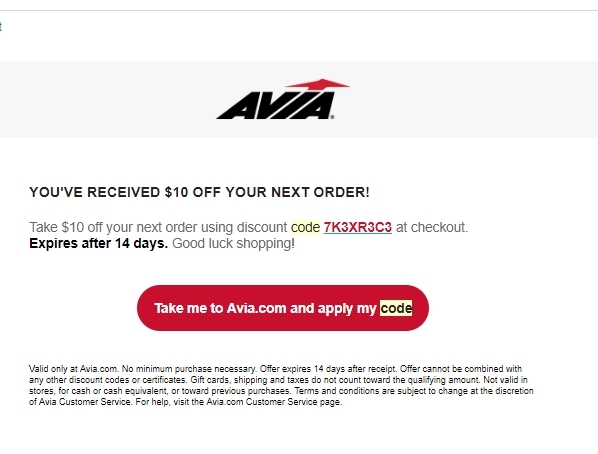 Get $10 Off Your Next Order at Avia at Site Wide. 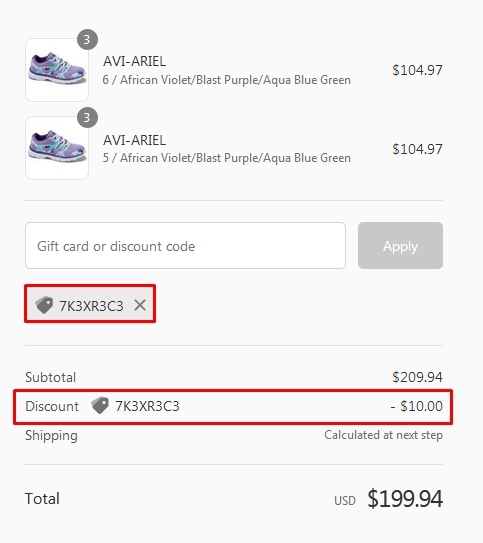 Just enter the code during the checkout process to apply the discount for this store. @ShoppahDealz Tested this promo code and verified that it works as described.